Advanced Cell Technology (ACT), reported today that it has discovered a new method to generate a potent and replenishable population of mesenchymal stem cells (MSCs) from human embryonic stem cells. 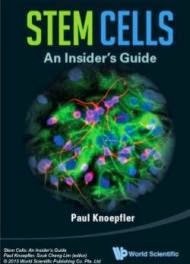 This new and proprietary population of embryonic stem cell-derived MSCs displays potent immunomodulatory and therapeutic properties and has a greater than 30,000 fold proliferative capacity, relative to ordinary bone marrow-derived MSCs, the most commonly used source for MSCs in clinical trials. There are currently over 300 clinical trials evaluating MSC therapeutic utility in a variety of diseases. Unlike other types of cellular therapies, MSCs can be used in allogeneic settings without immunosuppressive therapy due to the cells’ ability to evade immune detection. MSCs home to injured tissue and provide therapeutic support through a multifaceted mechanism. They secrete a dynamic assortment of bioactive cytokines, trophic factors, and anti-inflammatory molecules in response to environmental cues. The traditional sources of MSCs are from adult tissues and have limited expansion capacity and so must be constantly replenished from more donors, and screened for pathogens. Moreover, there is an appreciable loss of potency upon propagation of adult MSCs in culture, which along with inconsistent quality of current MSC sources, limits the scalability of their use in therapy. We believe our new method can overcome these limitations as we have taken advantage of a versatile precursor cell called the “hemangioblast.” hESC-derived hemangioblasts replace the need for donors, and our pre-clinical studies have demonstrated these hESC-MSCs have the capacity to respond to environmental cues, influence immune cell function, and exert therapeutic effects to reduce clinical symptoms in two different autoimmune disease models. “This population of MSCs may have a therapeutic effect that could overcome many of the obstacles that currently plague the use of stem cells in regenerative medicine and may serve as a scalable alternative to current MSC sources. In addition to being easy to derive in large numbers, they appear to be more potent than adult MSCs and have a longer duration of action. If these cells prove to have a better therapeutic index than adult MSCs, they may provide for treatments of inflammatory and autoimmune conditions for which adult MSC treatment is currently not tenable. As reported in the study, the cells preserved kidney function and increased the lifespan of animals with lupus. There is currently no cure for this devastating disease. In our study, most untreated animals died in the first few months, whereas all of the animals treated with two injections of our MSCs survived during the same time period. These new cells also had a therapeutic effect in animals with both mild and severe uveitis. In humans this disease accounts for approximately 10% of blindness in the United States.” said Robert Lanza, MD, Chief Scientific Officer at ACT, and senior author of the study. “We are encouraged by the publication of these study results and we view our MSC program to be a promising component of our pre-clinical pipeline. Drs. Lanza and Kimbrel, and their colleagues, have demonstrated that MSCs derived from pluripotent stem cells may provide a viable alternative to adult-derived MSCs. ACT is currently running a number of additional studies in other animal disease models that may help to define the range of indications in which hESC-MSCs could provide therapeutic benefit.” stated Ted Myles, Interim President, CFO and EVP of Corporate Development, of ACT.